Since it’s inception in 2005, Total Chauffeur Service has become a recognized and trusted service partner to a wide range of corporations by providing exceptional services to both business and leisure travellers alike. After its inception in 2005, Total Chauffeur Service soon became a well-known and trusted service to a wide range of corporations, individuals and industries, providing reliable, safe and highly luxurious travel for both business and leisure. With a fleet of executive and luxury cars, limousines, minivans and luxury coaches that are maintained to the highest standards of safety and reliability, we ensure that all our customers enjoy a safe, comfortable and secure journey when travelling in our vehicles. Our chauffeurs are professionals, selected for their customer oriented approach, their knowledge and their experience, enabling our passengers to benefit from these qualities through safe driving techniques, time saving journey and route planning, personal attention, discretion and a recognition at all times of the importance of our customers to our business. Our philosophy of placing the customer at the heart of everything we do is shared by everyone involved with us at Total Chauffeur Service – and it is this focus on personal service and attention that has enabled us to develop a strong base of loyal customers and clients that choose to travel with us every day. 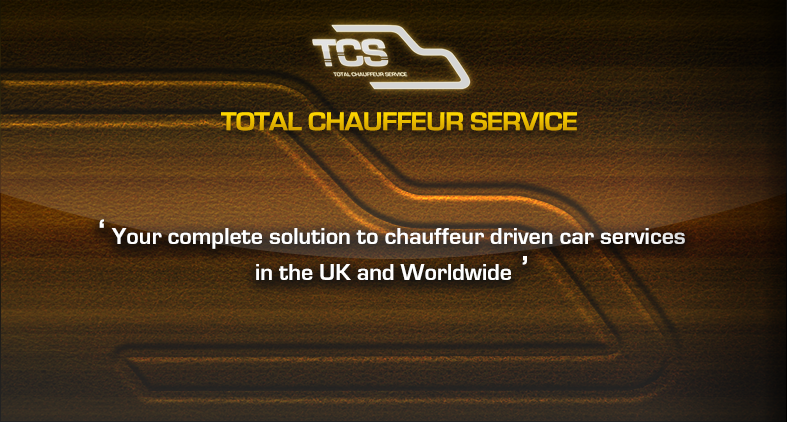 When Total Chauffeur Service was established in 2005, my vision was to create a service based on exceptional customer care that would add significant value to clients wishing to use chauffeur driven car services to efficiently and comfortably carry out their own business or personal arrangements. With customer service being at the heart of everything, I set out to build a high quality, dependable, bespoke service that provides only the highest levels of service. Now, as an established company, that vision has been realised and we have an enviable and loyal base of customers that rely on our services every day of the year. With an experienced team of skilled chauffeurs and a first class support team with the knowledge to organise everything from an airport transfer to an event for 1000 people in an overseas city, our clients relax and enjoy in the knowledge that their specific needs are catered for each and every time they travel in one of our vehicles. To our existing valuable clients I offer my sincere thanks and appreciation of their support and loyalty of our company. If you are visiting this website for the first time and you require a trusted service partner to assist you with any kind of chauffeur driven transportation, you have my personal guarantee that my team and I will do everything possible to ensure that your experience with us is a positive one.